A teenager accused of breaking into a Barrie home and ransacking it with a friend in 2016 pleaded guilty on Wednesday. The teen, who cannot be identified, admitted in court to being high and drunk in the early morning hours of Dec. 29, 2016, breaking into a Sunnidale home and pouring maple syrup on 97-year-old Jean Knox; who pretended to be asleep. Knox was found in bed hours later by her caregiver. Knox passed away earlier this year at the age of 99. The boy responsible for the attack, who was 17 at the time, is the second of two teens convicted in the assault. The two teenagers vandalized the home with eggs, ketchup, mayonnaise, peanut butter, ice cream, pickles and jam – smearing ceilings, carpets, furniture and walls. The Crown is seeking a custodial sentence similar to what his co-accused received in May of last year. 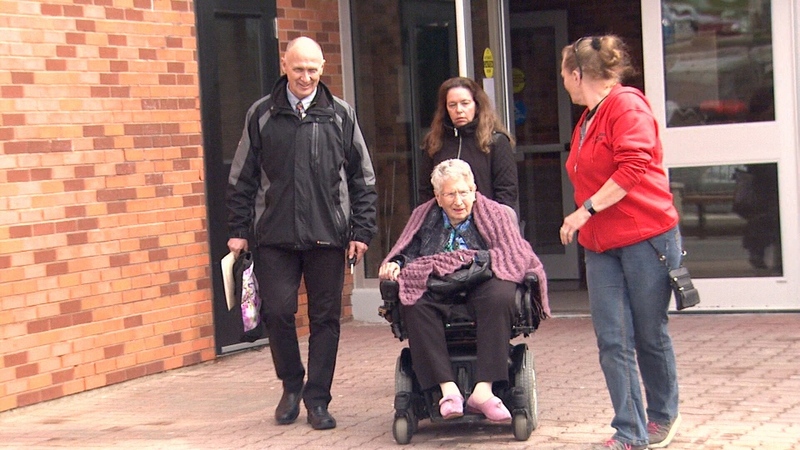 Sentencing begins November 19th in Orillia with victim impact statements from the late Mrs. Knox and her son being read to the court.